A latest assessment on illegal activities taking place in the Chiquibul shows that the financial losses are consistently increasing. 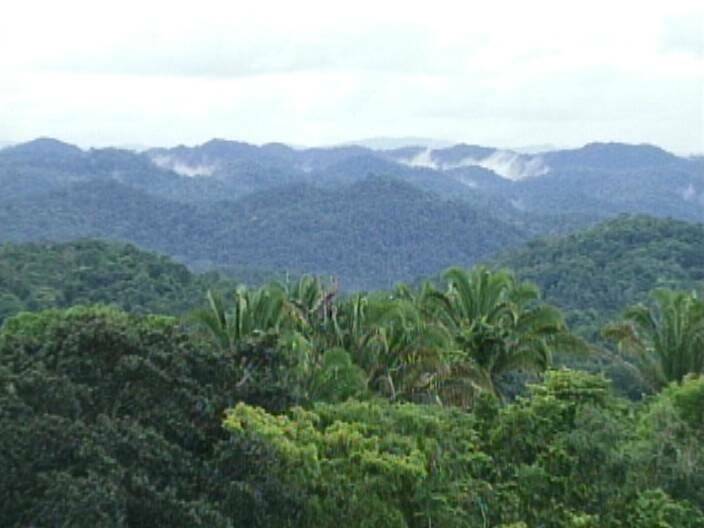 Friends for Conservation and Development says that a large area of the Chiquibul has been penetrated and that aside from the millions of dollars lost, the ecological impact is also damaging. News Five’s Delahnie Bain reports. For the past two years, Friends for Conservation and Development has been studying the economic and ecological impacts of illegal logging in the Chiquibul Forest. It was a dangerous process, which required the small crew to utilize xate trails to move quickly from area to the next to avoid armed loggers that may be in the area. 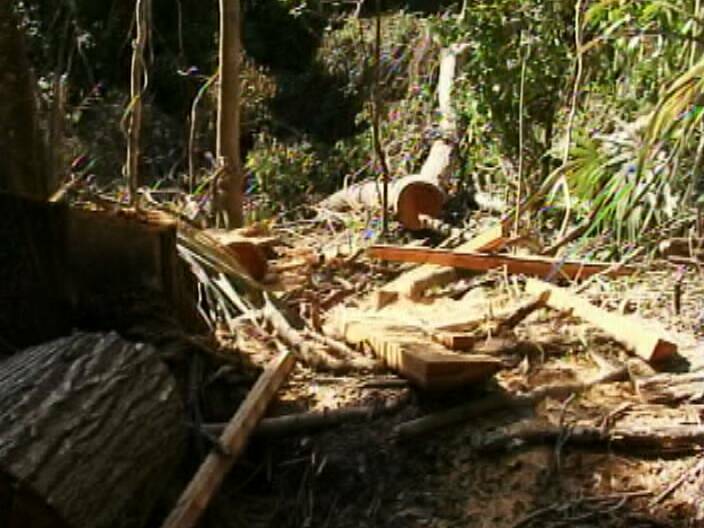 But it was worth the risk, because the study has found that over eighty-four thousand acres in the Chiquibul are being affected and the Executive Director of FCD, Raphael Manzanero, says the illegal logging continues to increase. 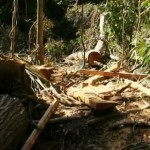 Not only are the loggers becoming more brazen and moving further onto Belizean soil, they are also cutting the most valuable trees. It’s even more appalling when the impact is converted into dollars that the country could be making from the logs, royalties and other fees. The rushed and careless cutting, according to Manzanero, is also extremely wasteful and adds up to more financial losses. 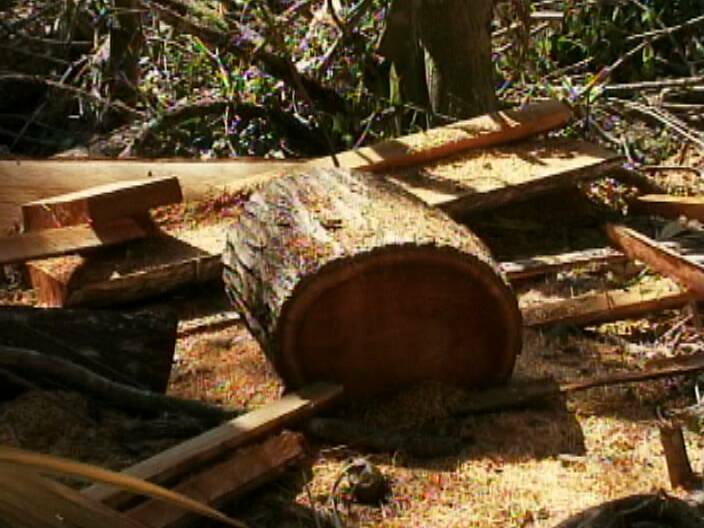 Another two million dollars has been lost in carbon stocks due to trees being removed. That’s already twenty-six million dollars over the past two years in the Chiquibul alone; a grim outlook of what the national losses may be, considering that illegal logging is also a problem in the Vaca Forest Reserve and the Colombia River Forest Reserve. 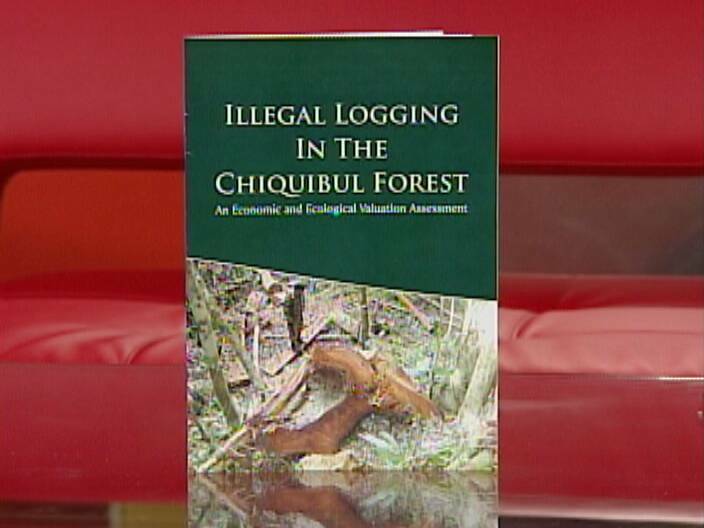 Manzanero says the illicit activities are reducing the value of the forest. The results of the study have been presented to government and other stakeholders. Delahnie Bain for News Five. Our western border and our border-area villages are the soft, unprotected flank of the Jewel, and they MUST be “hardened” before things are permanently out of GOB control. Is Belmopan just waiting for a Zeta-style massacre of Belizeans to occur on our soil? A big problem, of course, is that the border is mostly remote and hard to reach. But there is an affordable solution. I have said it before, and repeat it now, that we can BEGIN the necessary process of hardening the border by asking UK or US military to train volunteers in each village to patrol and defend their local territory. you tell them once you tell them twice, I say start shooting them. If you arrest them & deport them we will be spending unnecessary monies & they will come right back. Shoot 2-3 of them they will get the sense. 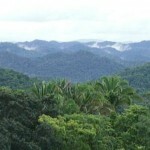 Guatemala has trees on its side, why they don’t finish over there.They are some Lawless animals. I don’t understand how our ministers and high ranking officials can sit idly by and watch our country be raped by these intruders, who have no regard or respect for our land. They come in when they want it seems, do as they please and leave without anyone knowing. 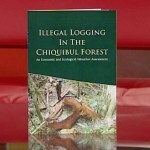 Has some secret deal been made by the government as they usually do, to have out precious forest be ravaged? Do we not have soldiers sitting by doing nothing? let them patrol the boarders. Let them do something about the situation. If we keep ignoring it and brushing it off like its a one time occurrence in time we will be watching them from our windows as they cut even the fruit trees from our back yards down. Its time to “put up or shut up.” Time to fight for our Country and our resources. Obviously the government is too “dun-duh” to even begin to think of a plan to stop these intrusions. 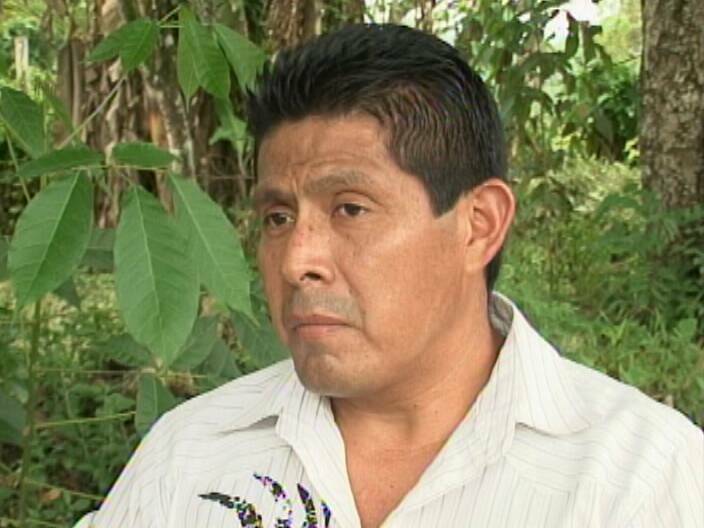 How ironic that Belizeans that cut a few thatch palms are fined $500 and the occassional Belizean hunter is detained overnight and harrased for hunting a deer without a hunting license ……while the Guatemalans that are illegally harvesting million of dollars of precious woods, are looting our heritage and are indiscriminately hunting our animals seem to receive the protection of OAS and GOB…. While the play blind to REAL threats to our natural resources…..
Why this government is hellbent in going all scale against the tiny fish while putting a blind eye to the BIG FISH that are the REAL THREATS??? …. and this applies to Drugs, Crime, Child Abuse,…etc. 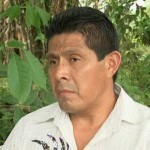 I would like to nominate Rafael Manzanero for national Hero…… His dedication in protecting our forests has many times placed him in a position where his life is in real danger… He is truly a guardian of our forests…..the meager allowances he receives from FCD are not worth the risks he takes with the Guatemalans…!!! @Reality, that’s a great point — we have 2,000 trained men and women in BDF, and it seems the great majority of them are essentially inactive most days. Let’s put a few hundred on the border and close it. @Storm, your suggestion sounds reasonable to me. Many, maybe most other nations train & lightly arm remote villages to protect their own vicinity. @ mr. Roska, If the above is true, then maybe we should just all stop work and hope the government will feed everybody. I agree with you @ Chenco. I was gonna tell @Roska that he would soon starve to death. He needs to be careful what he says. He as no idea what the mennonites “REALLY” do in this country. I’m not saying nobody else works, because each person has his particular calling on this earth. But the mennonites they produce food. What would happen if Spanish Lookout would close ALL outgoing shipments such as: chicken, beef, corn, rice, beans, eggs, and lots of other products and supplies, for TWO weeks..Im telling you, ROSKA would be begging for forgiveness. lol, the GOB cannot even control its own fingers in the fund, how can they control a border?? They cannot, and they are not even trying, what does that tell you?? Might as well give everything to to Guatemala, our GOB is absolutely useless, useless, look at the crime, look at the land take of officials, they put band aides on everything and give it a big spin, smoke and mirrors, they are getting as good at PUP at this stuff. Don’t you just love it. Thank you FCD for all you have done to protect our natural resources and bring the realities of the problems to the public light. It is a shame that we cannot depend upon our government agencies (Forestry, Environment, Geology, Police & BDF) to do their jobs. We must depend upon private NGO’s like FCD & Oceana who are funded by foreign sources to take care of us. 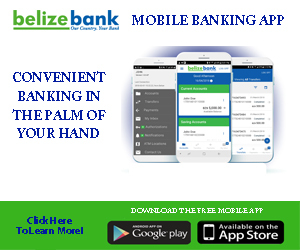 Daily Belize slips further and further into being a failed state. What a shame! Will G.O.B. comply with CCJ order not to declare and distribute dividends at B.T.L. AGM?